The testing equipment of lead free rhinestone are large laboratory usually.Many large manufacturers are equipping lead free rhinestone testing machine now with the requirement to eco-friendly quality, so that we can control each link in the chain of production and sales. 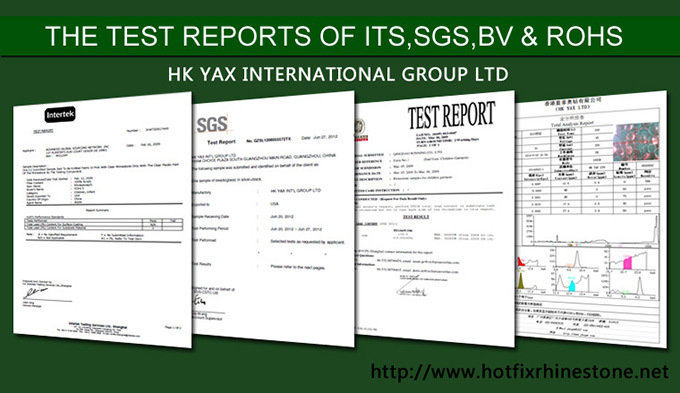 Meanwhile, it can be better to show the data to the customers, that is what HK YAX LTD does. What are the third lead free rhinestone testing organizations mainly? For now, the most reputable organizations are BV,ITS,SGS. Please click the below links to contact the address and contact way of the organizations.